They say life is what you make it, but have you noticed that some people make it sweeter than others? What’s their secret? We’ve asked bloggers to share with us the art of loving life; what makes their life poetic, how do they find beauty in each day, what rituals or memories sustain them through the daily grind. Why? 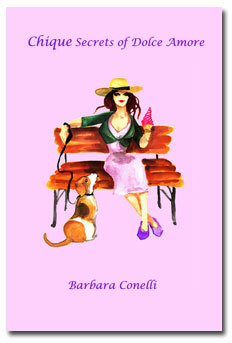 To celebrate the release of Chique Secrets of Dolce Amore by Barbara Conelli, and to celebrate life! The blogs listed below have agreed to share their stories, essays, poems, photos, or other means of creative expression on the topic of loving life. We really have no idea what's coming; just like life, we left it open to interpretation...but we can't wait to find out! A few things we do know are that these are all fantastic blogs and each time you visit one you can enter to win a signed copy of Chique Secrets of Dolce Amore. So come travel with us on our quest to find the beauty in living and don't forget to tell your friends. We can't wait to see what’s around the corner! Visit these blogs and comment for a chance to win a copy of Chique Secrets of Dolce Amore! Each comment earns an entry. One winner will be chosen. Winner will be announced in the comment section on June 29, 2012. It’s summertime! We’re celebrating the carefree days of summer with a mass-blogging day. These could be your own childhood memories or favorite memories of days spent with your children. Tell us about when the carnival came to town, your first puppy, ice cream with Grandpa, the time you really got into trouble (but it was so much fun), or even the best Christmas ever! 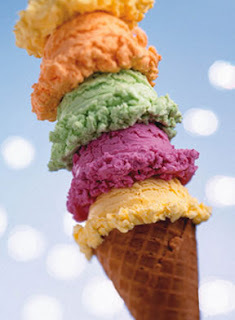 The Italian summer is very chique—in August you will find festivities and fun all over the country! Let’s all party Italian style! It could be because the sun doesn’t set until 9 pm. Maybe for you it is because Vivaldi, da Vinci, Gelato, and your favorite pair of red shoes all come from Italy. Need more ideas? No problem! Barbara Conelli will be touring with her book Chique Secrets of Dolce Amore from June 25 – August 24 so just follow along on Twitter @WOWBlogTour for links to fun facts and virtual tour of Italy. Join us for a special two month tour of Italy with Barbara Conelli. We’ll be learning to speak Italian, eat Italian, and love the magical moments in life! There will be special events, contests, and prizes like you’ve never seen! A delightful party where everyone takes home a gift. To participate in one of these events contact Robyn at blogtour@wow-womenonwriting.com. We had so much fun reading everyone's posts and comments in our Art of Loving Your Life tour; thank you so much for joining in the fun! The winner of a signed copy of Chique Secrets of Dolce Amore is Carole Mertz. Carole's name was chosen via Random.Org. Congratulations Carol! We will follow up with you via email. More fun on Barbara's tour! Learn Italian, enter an essay contest, and follow Barbara along on her tour stops. Check out her tour launch for more information.